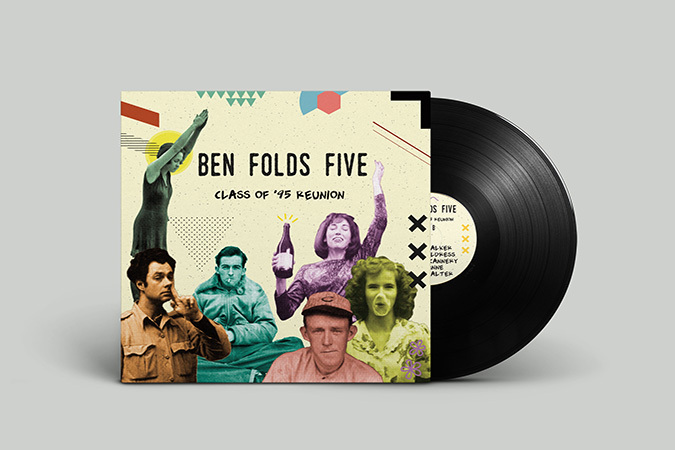 For the Ben Folds Five new album and book release, I focused heavily on the idea of old made new; a modern revitalization of something from the past. 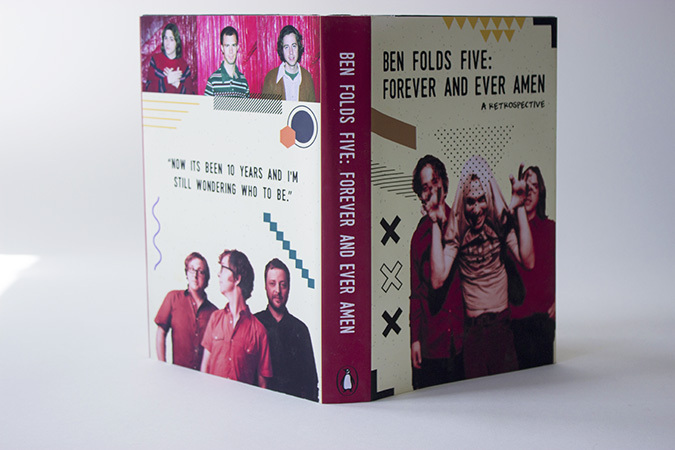 Conceptually, the album release tour and the book release centered around the idea that Ben Folds Five was coming together after being broken up for 10+ years. This would be sort of a triumphant farewell tour as the record revisits old characters and the book is a retrospective that has all the information a fan could want. 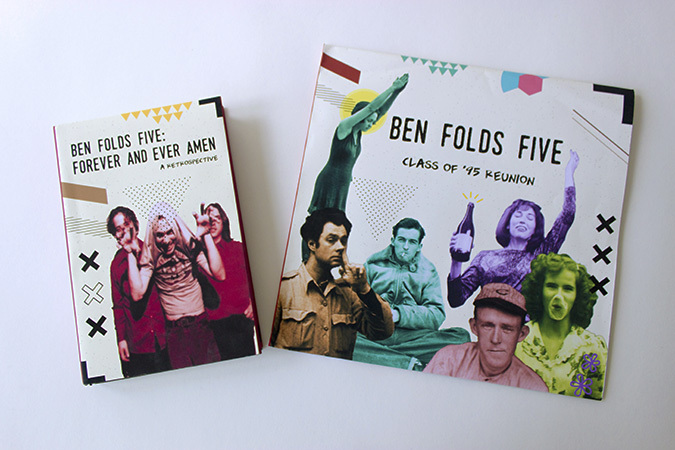 The book and record serve to provide closure for the characters described in songs and wrap up the entire history of the band. For this reason, I chose to title the record Class of ’95 Reunion since all the characters from previous songs are brought back to continue their story and I titled the book Ben Folds Five: Forever and Ever Amen a retrospective to play off their album Whatever and Ever Amen and because I thought the title was respectfully finite.